Stories ought to be told, so I'm telling some of mine (and maybe yours). Phones are great and terrible things. They often take too much of our time, but they can be extremely useful. I’ve had a love-hate relationship with phones as long as I’ve been using them. They provide a form of communication that is both distant and intimate at the same time. They can also create confusion. Many conversations I’ve had on them would have been much simpler in person. I think I really started talking on the phone in middle school. It was in the days before cordless phones so I would take the phone from our kitchen and stretch the cord down the hall and sit on the stairs. I did this so often that most of my phone conversations still took place there after we got a cordless model. I sat and talked (mostly about nothing) to the girls I would skate with, any friends allowed to speak on the phone, and sometimes this Korean language recording of a bible story. At least I think it was a bible story, I could almost make out something that sounded like “Hallelujah.” If the phone rang, I had to be the first person to answer, just in case it was for me. Often my mom would pick up soon after, causing me to exclaim, “Mom, I’m on the phone. I’ve got it.” I would wait for the tell-tale click of the other extension before continuing. This came back to haunt me many years later. I had just gotten back from a youth group trip at church. I called home to tell my mom I needed a ride. She answered the phone and I said, “Mom…” She quickly said, “Oh, you’ve got it? Okay,” and hung up on me. This habit of racing for the phone began to annoy me when people called for my parents. I dread being called a “little boy” and asking if mommy was home. That was better than a pizza place though. They once called back after I had ordered for directions. I gave the asked for directions to which the caller replied, “I’m sorry, ma’am, but we don’t deliver there.” I wonder if that pizza worker ever knew how humiliated and stupid I felt. Yeah, my voice hadn’t changed yet, but come on! “There’s no need to bring him in,” I said. She sounded relieved until I continued, “It’s gone much to far for that. You ought just take him out back and shoot him.” For some reason she hung up. Of course, this type of situation also worked against me. I once called a friend of mine, one I talked with regularly. She and I had great conversations (we liked each other as friends, not like like), so when she answered, I just started into our usual banter. I went on for a while when she finally said, “Who is this?” I suddenly noticed her voice was a little off. “Uh, could I talk to your daughter?” Not awkward at all. I lived through all the silly “No you hang up first moments,” talking quietly because I was up too late, lying about getting disconnected while waiting on hold, and aching to see the person on the other end face to face. I even mostly outgrew the really awkward moments (except if I have to leave a message, I’m terrible at that). I say mostly because it still happens occasionally. In 2006, I started working for the school system. We often have to drive around for our job and one day, my co-worker and I ran by my house because I left my work phone there on the way to a school. As we were pulling out of the driveway, I saw my mom getting in her car (yes, I live next door to my parents. It’s not as bad as you think). I gave her a quick call so she wouldn’t wonder about the unfamiliar car in my driveway. I should point out that my mom has a distinctive way of answering the phone. She drops her voice a bit and draws out that first greeting. I waited as her phone rang until I saw her reach for her cell phone and heard, “Helloooo?” She even gave a little wave. “It’s simple! I’M IN THE DRIVEWAY! IT’S ME IN THIS CAR!” I just didn’t understand why she couldn’t grasp this simple concept. I finally looked down at the small LCD on my cell phone. “Uh, sorry I must have dialed the wrong number.” At least my co-worker got a good laugh out of it. Now, I’d really love to go, but somebody’s beeping in on the other line. I really need to take this call. No, you hang up first. © Leighton Brown and Stories Now Told, 2010. Unauthorized use and/or duplication of this material without express and written permission from Leighton Brown is strictly prohibited. 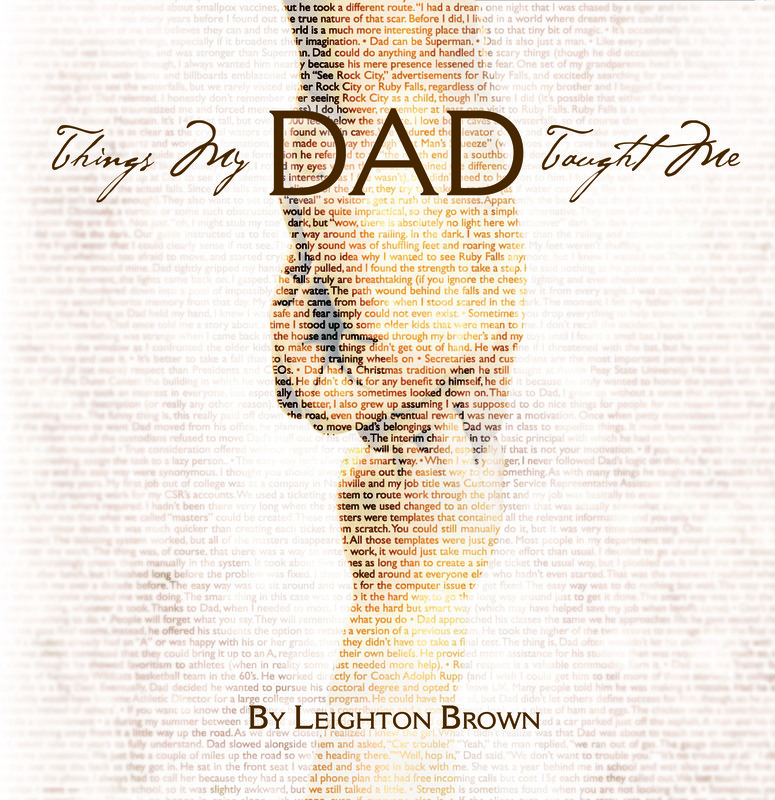 Excerpts and links may be used, provided that full and clear credit is given to Leighton Brown and Stories Now Told with appropriate and specific direction to the original content. For more information, please see the Copyright page. I could be considered a true Renaissance Man after having a long and storied (seriously, people actually tell stories about it) college experience and varied careers. I am also a shameless self-promoter (who did you think was writing this anyway?) who is prone to flights of fancy, an abundance of passion on any given subject, ,obsessive behavior, spontaneous storytelling (whether anyone listens or not), and making parenthetical references. I would also be thrilled if I heard someone use the word "raconteur" to describe me. This entry was posted in Stories and tagged conversation, middleschool, phones. Bookmark the permalink. All content of Stories Now Told by Leighton Brown is licensed under a Creative Commons Attribution-NonCommercial-ShareAlike 3.0 Unported License. Permissions beyond the scope of this license may be available at https://nowtold.com/copyright-notice.